A movie that makes you cry, laugh, think and forget. 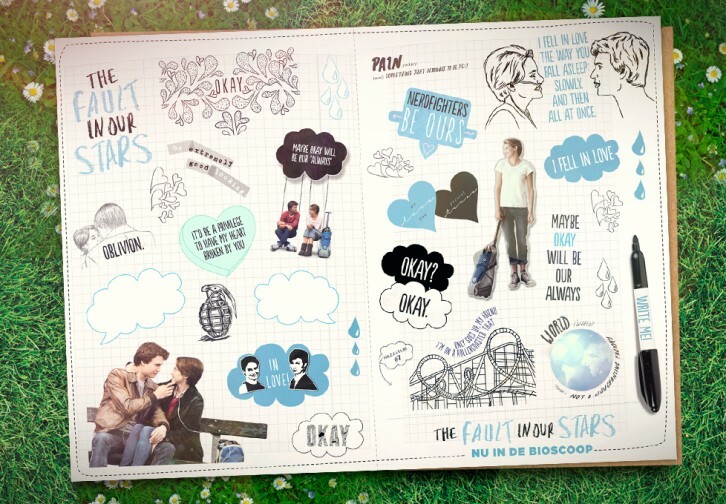 The Fault In Our Stars is not just an ordinary love story. 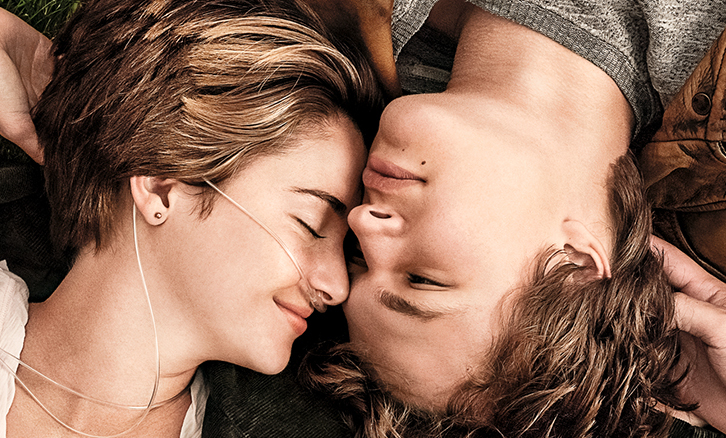 It’s a realistic movie about the trouble of cancer in everyday life and love. To test out reactions we filmed a screening and rewarded fans. Young, old, girl or boy. Our testimonials proved one thing: everyone likes the movie. It contains humor, love, sadness and everyday problems everyone can recognize themselves in. The interviewed people were very enthusiastic sharing their opinions, even though they sometimes had to keep their tears back. … and getting them hooked! Our target group contained teenage girls. We reached them by using the popular magazine Joepie and treated them on posters, stickers and even a small book containing the first chapter of the book. If that doesn’t convince you to give the movie a shot! It didn’t stop there. We turned the Facebook page into a collection of beautiful pictures and quotes, even using reactions from people who watched the movie. 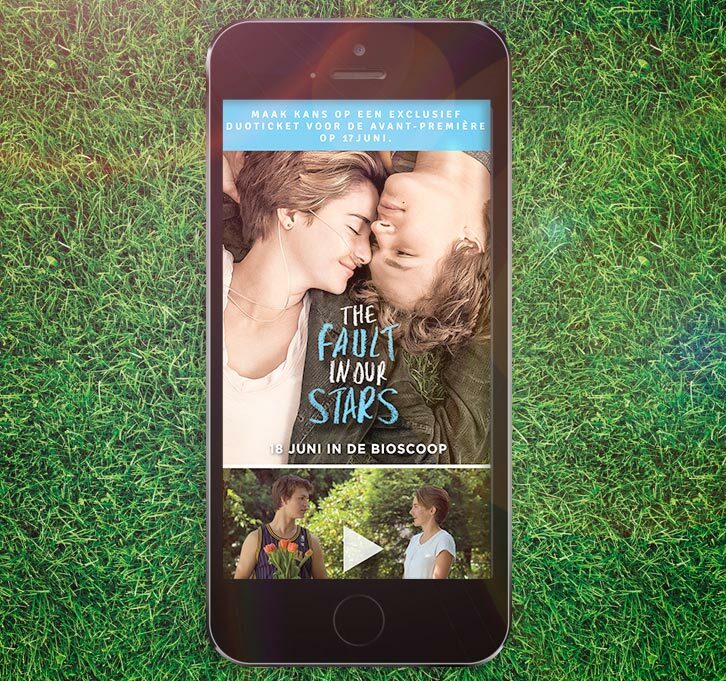 To create buzz before the movie launched we made a Facebook app containing a contest to win tickets for the avant-premiere. 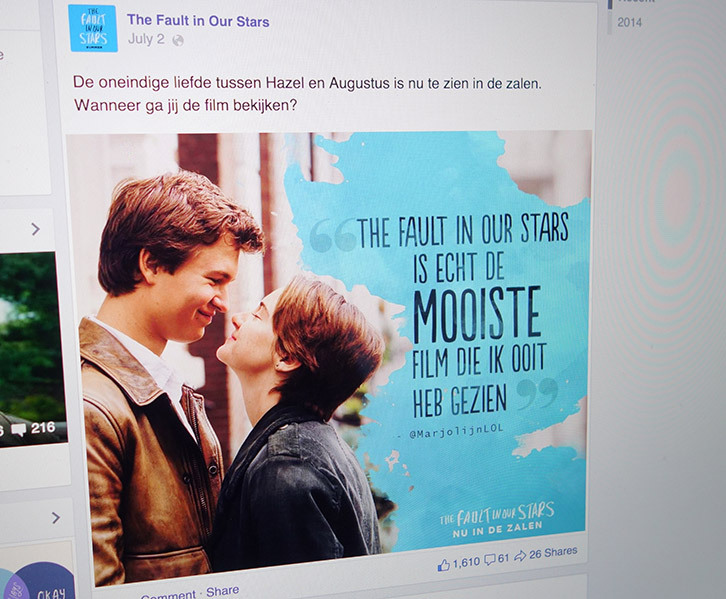 We also sent the famous Eline de Munck for an interview with Ansel Elgort (Gus in the movie) and Nat Wolff (Isaac). Eline is very popular with the target group as she works for the teenage channel JIM.